An American found tracing family roots can seem a peculiar oddity to people in the countries from where our ancestors immigrated. After all, many centuries of family lineage are still firmly grounded on the land of their ancestors. It may come as a comfort to those who stayed to know that once driven from those well-loved landscapes by persecution or famine, early immigrants landed in 18th and 19th Century America looking for the lay of familiar land. They named their parishes and towns in memory of the life they left behind, names like Derry and Londonderry, New Hampshire or hundreds of other place names brought from Britain, Europe and nearly all of the countries of the Earth. They brought their traditions and their passion in search of a chance to start a new life. The ties remain true whether spoken or silenced to just beneath the surface, ready to reveal itself again through the backward glance of the generations of descendants that follow. According to Margaret P. Hillhouse's "Historical and Genealogical Collections Relating to the Descendants of Rev. James Hillhouse" (1924) Abraham Hillhouse of Artikelly, Ireland was born sometime before 1639 when he moved from Ayrshire, Scotland to Ireland as a landholder in the Ulster Plantation. The family resided in the Parish of Aghanloo for most of their 120 year stay in Northern Ireland, the townlands where their name appears in historical records include Ballycastle, Artikelly, Free Hall, Streeve Hill and at least 101 days held in siege in 1689 of the city of Derry. Reid's History - 1644 quote "Abraham Hillhouse, of Ballycastle and a burgess of Limavady with a large number of people took the Oath of the Covenant in September 1644 at Ballycastle, and there met the Scottish Ministers on their return from Londonderry to Coleraine." Abraham (1) and Janet Hillhouse had three children, Abraham (2), James (1) and John (1). His will is dated 1676 states he was "to be buried in such charges as my dear wife, Janet, and my eldest son, Abraham Hillhouse, shall think fit." Free Hall is first mentioned in the 1667 and was the birthplace that year of their son John. Son, Abraham (2) was among the people who endured the horrors of the Siege of Derry in 1689. He later married twice, his second wife Anne Ferguson had two children, -- and Rachel. His brother, James, is said to been the Mayor of Derry in 1693. Brother John and his wife Rachel inherited the Free Hall estate and raised six sons, Abraham (3), James (2), William, John (3), Samuel and Charles. Taken from Abraham (3) Hillhouse's family bible - "My mother, Rachel Hillhouse died January 7, 1716 and is buried in our burial place in the church of Arclow. 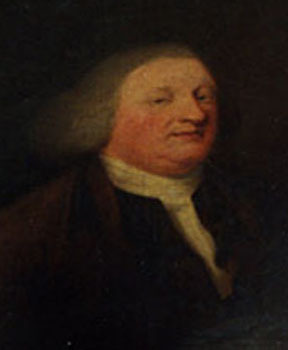 My father, John Hillhouse died Tuesday, July 31, 1716 and was buried in the church of Arclow (old Church of Aghanloo)." The Aghanloo New Church was built in 1826 from the ruins of the Old Church Aghanloo (Arclow) just a few hundred feet down the road. The Old Church cemetery can be found at a curve in the road, however the grave stones of the John and Rachel Hillhouse buried there in 1716 have vanished. Many gravestones before the 1800s were made of sandstone, weather and time have wiped them clean. 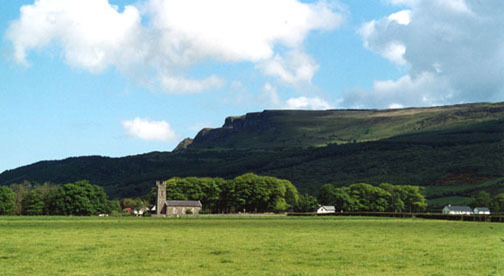 Benevenagh Mountain frames the scene in the distance. 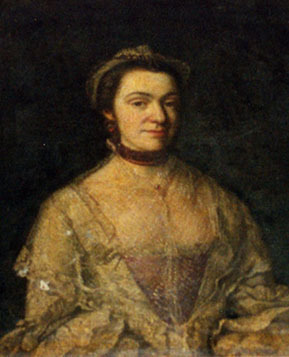 Abraham's daughter Rachel would inherit Freehall after her father's death in 1756. Upon her death a few years later, the Hillhouse lands were absorbed into the McCausland estate. Rachel was married to Frederick McCausland. The McCauslands, a distinguished family of Scottish origins, have flurished through the centuries on the townland of Streeve Hill, which he bought in 1741 and Fruit Hill, his brothers adacent land now known as the Drenagh Estate. The portraits of Frederick & Rachel McCausland (criteria 1750) still grace the main floor galleries of Drenagh Estate. I am most indebted to a German resident of that town, Jochen Lueg, who has an extensive website covering Limavady and the Roe Valley. The Hillhouse name and the fortified manor house, Free Hall, as I would come to discover, has all but disappeared from existence in Londonderry. Jochen did find the directions to the property very familiar and tied it with McCausland property nearby. It was a short search connecting the names of Hillhouse and McCausland to link the two families by marriage in 1741. In the months before my visit, Jochen was very kind to research what he could on his end and I was able to give him many clues to pursue. My next connection was with the gracious owners of Streeve Hill B&B, Peter and June Welsh. Streeve Hill was Frederick & Rachel (Hillhouse) McCausland's family home from 1741-1765. The Welshes went well out of their way to provide for my comfort and desire to know more about the Hillhouse family and where they had lived. I am also most indebted to Frank the owner of Bells Taxis as my local driver and guide who shared his love of the history of the city of Derry and county of Londonderry and waded through the neetles of the local cemeteries to help me in my research. I also must thank Ian Campbell and his wife who reside at Ballycastle and spent a morning with me sharing the printed history of the area in their possession. It was there that the mystery of the location of the graveyard at the Church of Arclow was revealed.